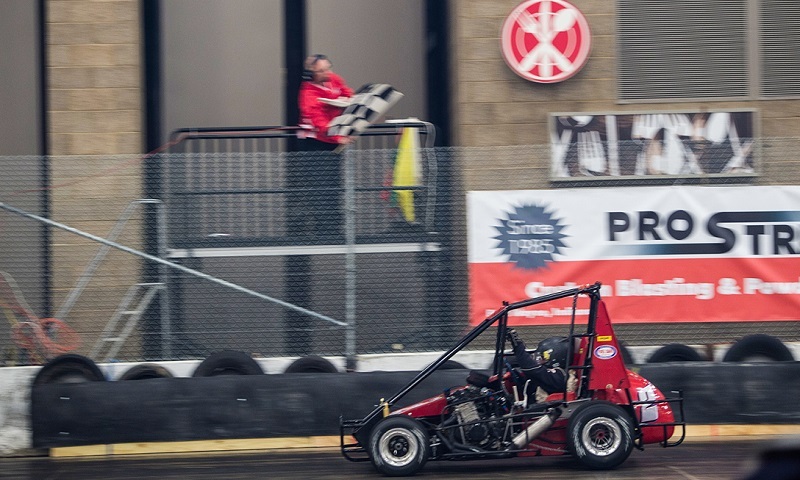 John Ivy steamrolled to a sweep of the two 25-lap 600cc mini sprint features Saturday during the conclusion to the 20th annual Rumble in Fort Wayne, winning in both the winged and non-winged classes. 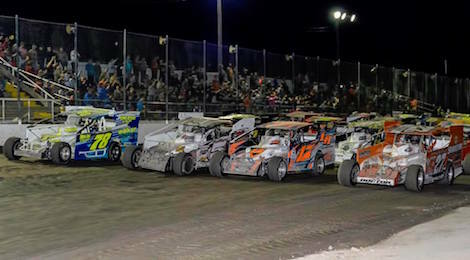 With 221 rounds of competition complete in the 33rd Lucas Oil Tulsa Shootout, the stage is nearly set for a Sunday showdown, with 110 drivers from 17 states already locked into at least one of the eight championships A-Feature events. 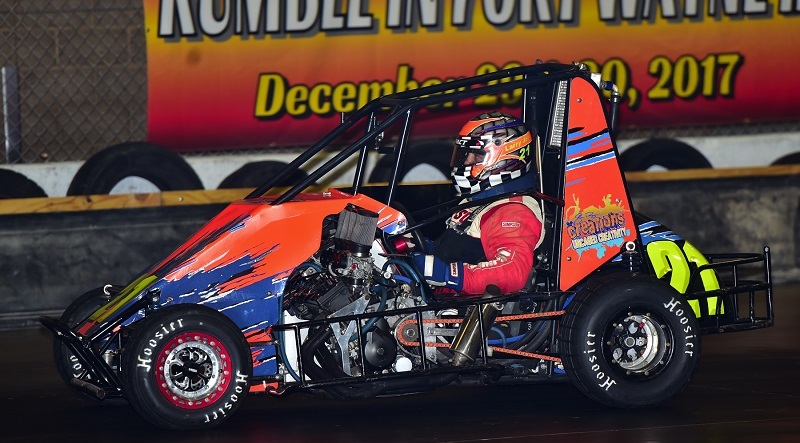 John Ivy and Clay Sanders did their parts to take home a piece of Rumble in Fort Wayne history on Friday night, winning their respective micro features during the 20th edition of the indoor racing classic. 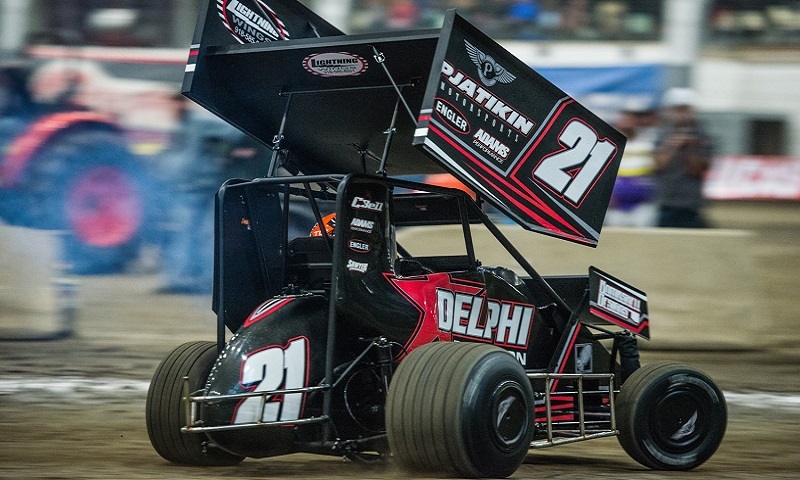 With less than two weeks before the early entry goes up to $120 per class, 295 drivers combining for 625 entries across eight classes have officially filed to compete during the 33rd Lucas Oil Tulsa Shootout at Tulsa Expo Raceway. 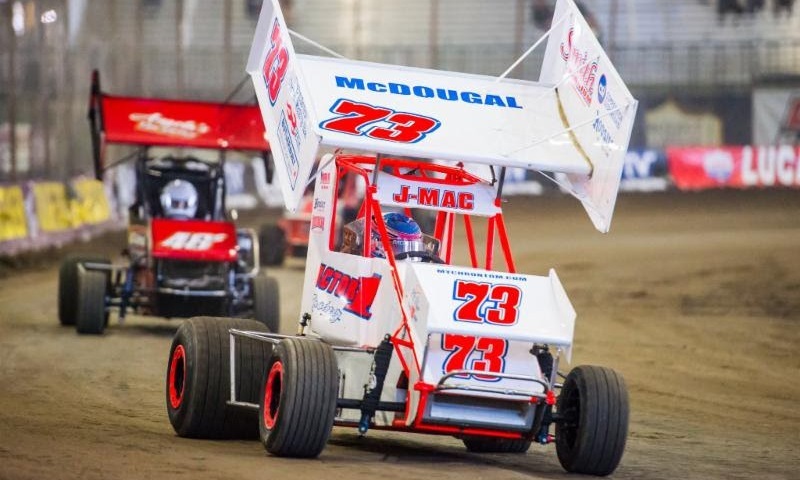 The 33rd running of the Tulsa Shootout will welcome a new title sponsor, as Lucas Oil Products has comes on board to support the “Indoor Mecca of Micros” from Dec. 28-31. 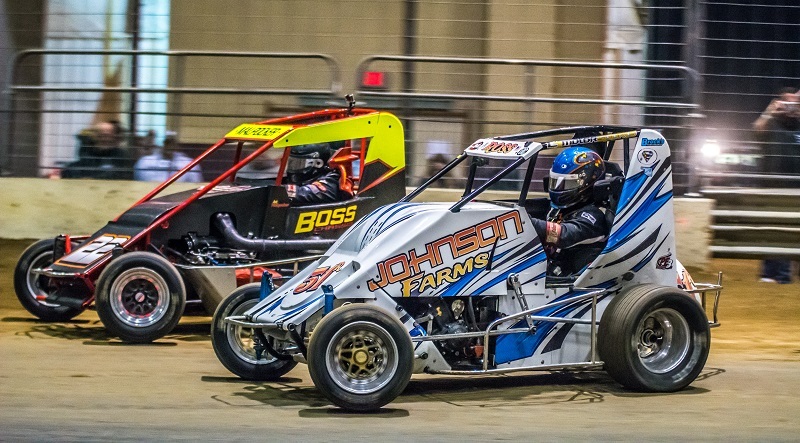 Check out photos from Saturday’s USAC-sanctioned Open Wheel Extravaganza, featuring D2 Midgets and winged micro sprints inside DuQuoin’s Southern Illinois Center! 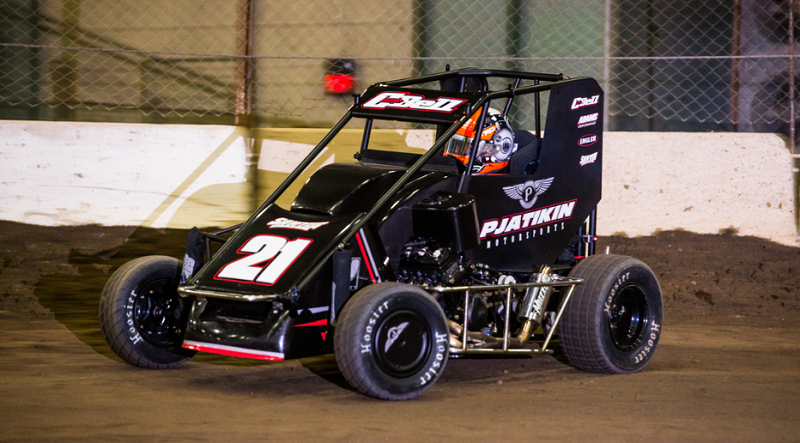 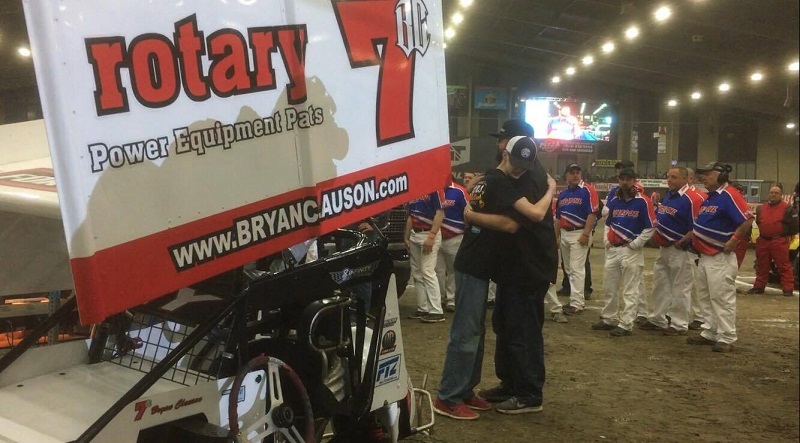 If not for one very special GT American winged outlaw micro sprint, the Key and Clauson families may never have crossed paths. 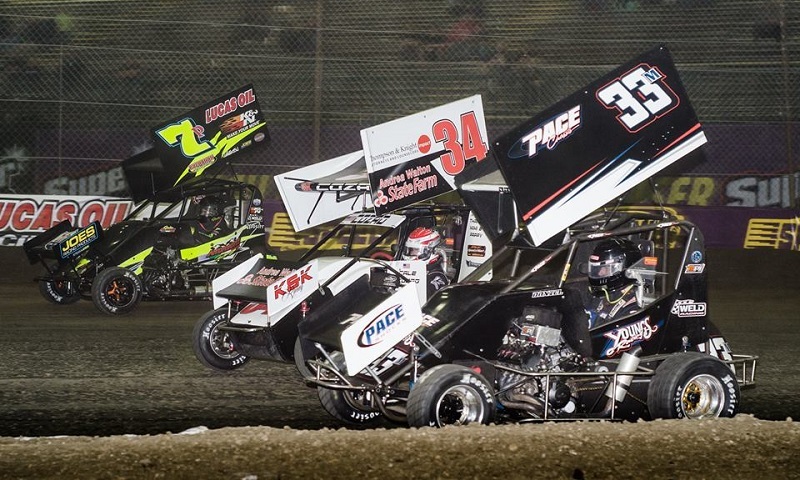 If there was ever a way to start the year, the finale of the 32nd Speedway Motors Tulsa Shootout just set the bar as Missouri’s Joe B. Miller laid waste to the field of the 55 lap Outlaw feature event with a run from the final starting spot to win the coveted Golden Driller in the night’s championship Outlaw event. 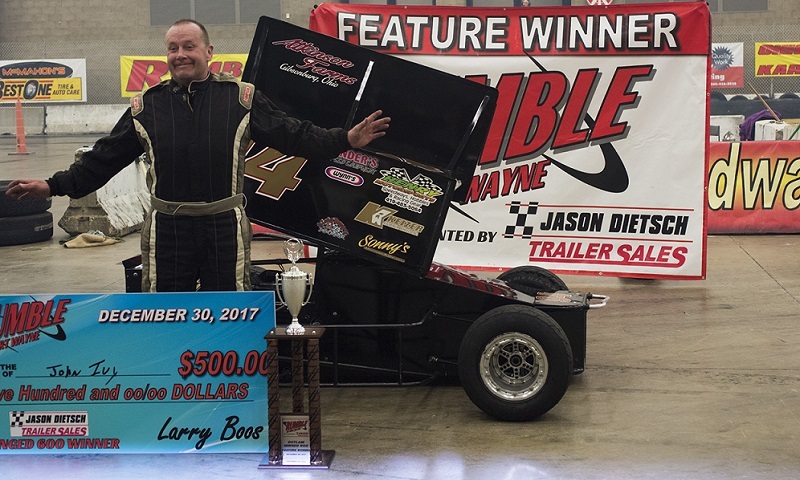 Just as Russ Gamester did in Friday night’s National Midget feature, Larry Joe Sroufe started from the pole and completed a wire-to-wire performance during the 19th annual Rumble in Fort Wayne.